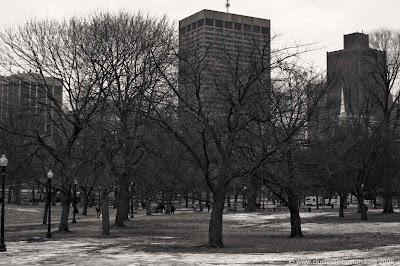 Boston Common on a dreary January day. Everything in between is muddy and gray. April is not the cruelest month. "April is not the cruelest month." Not the only one, anyway.